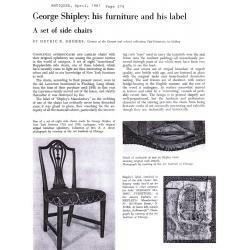 Attribution is based on a labeled chair, ANTIQUES April, 1961, page 374, George Shipley: His Furniture and His Label (see scan). 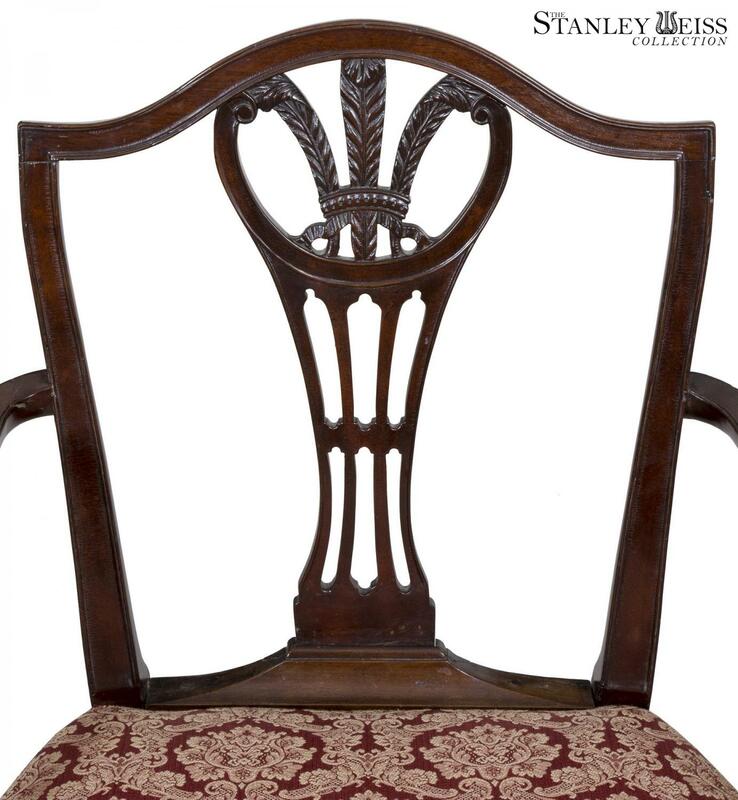 The arched crest in this example centers on a finely carved Prince of Wales feathers splat which hearkens to its Chippendale antecedents with a splat that runs its full length ending at the rear rail and not supported within itself in a completed shield back. 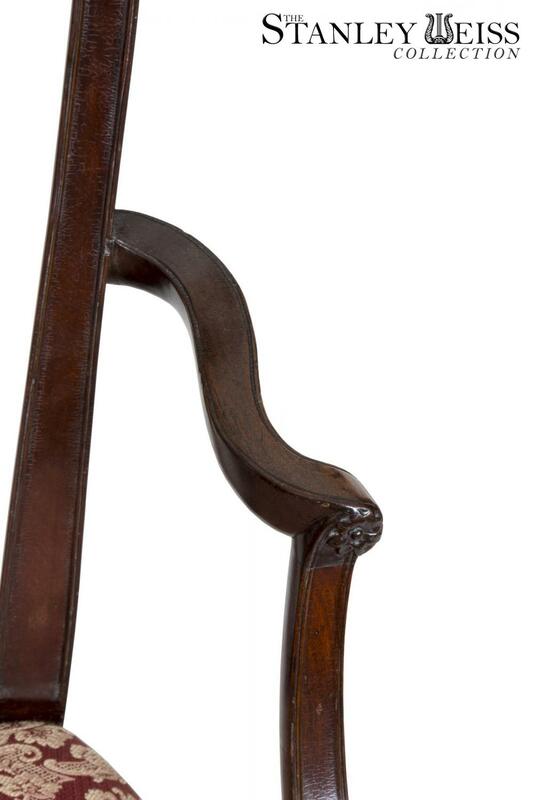 The arms in both examples are finely molded and scrolled which end in small rosettes. 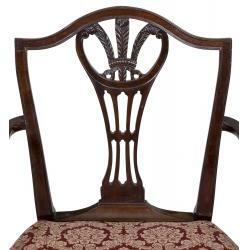 The arm supports are tapered and inwardly carved. 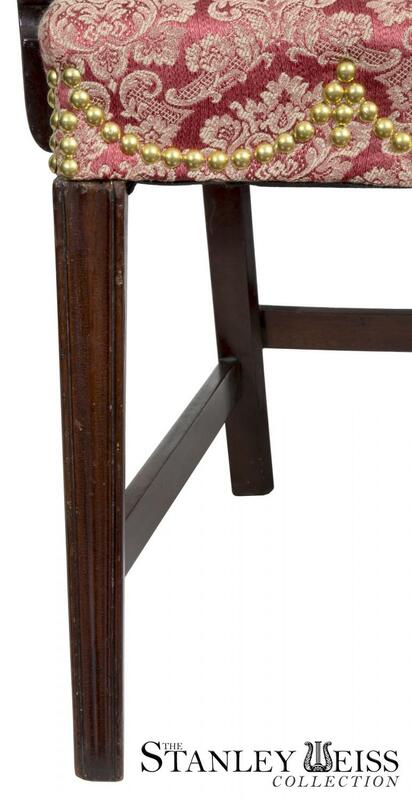 The legs are of a molded Hepplewhite form and of note is the lack of a front medial rail on the bottom of our chair, which is also the case with the Shipley labeled chair. 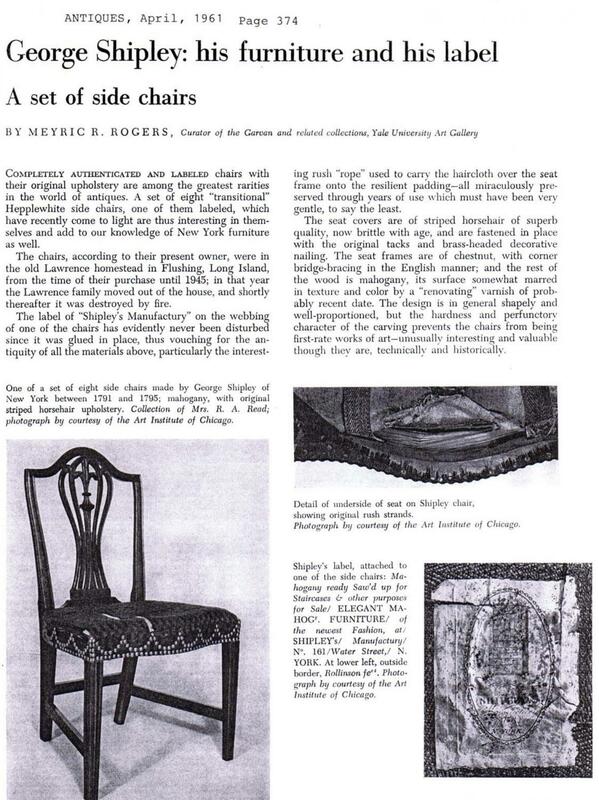 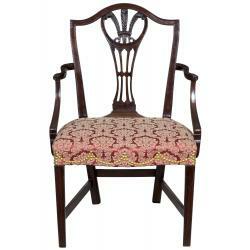 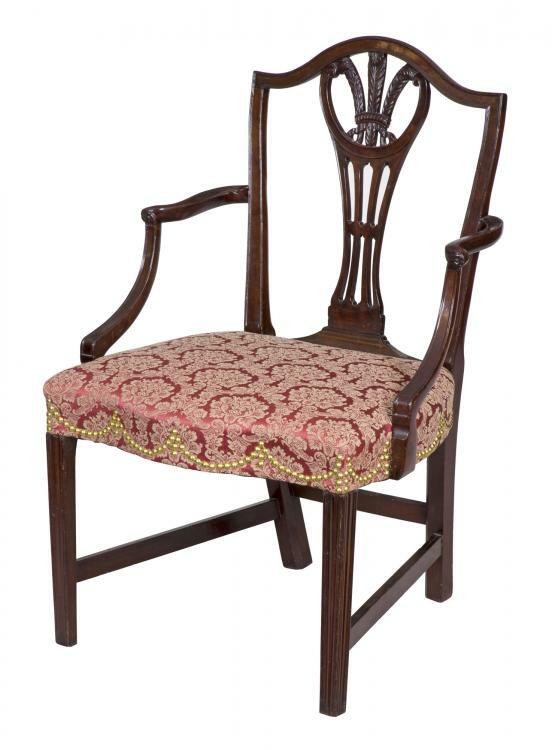 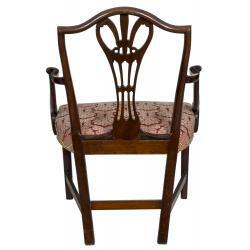 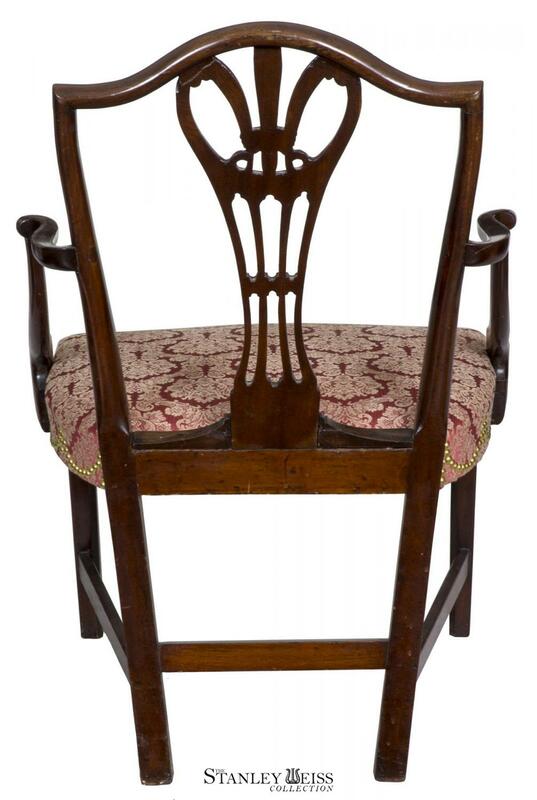 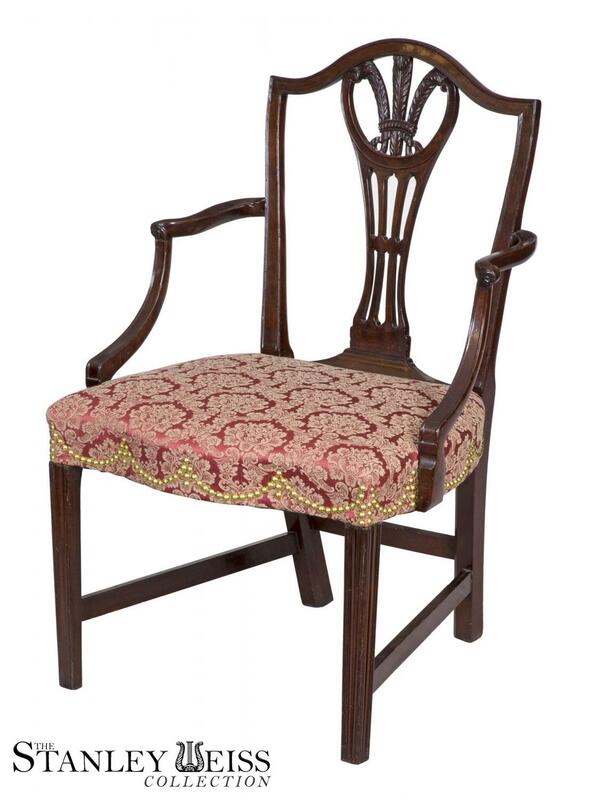 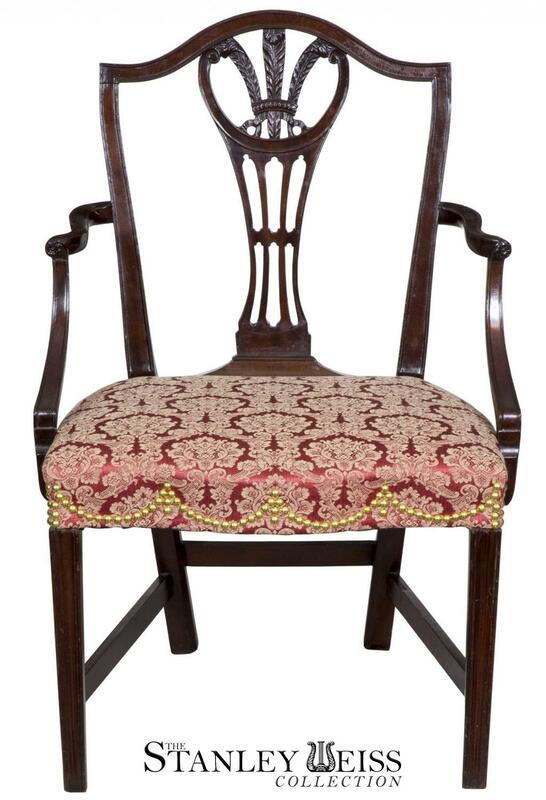 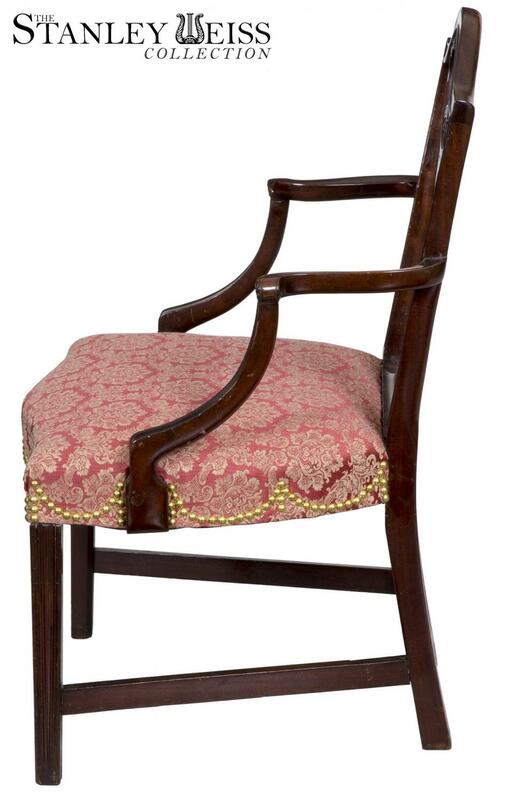 A related chair is illustrated in Furniture of the Olden Time by Frances Clary Morse, Page 202, Ill. 186. 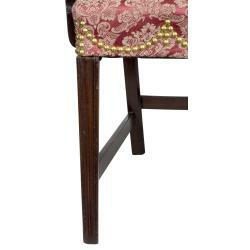 Height: 37 1/2 in. 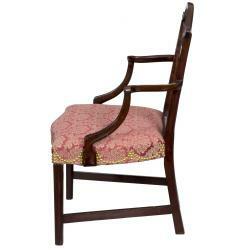 Width: 24 in. 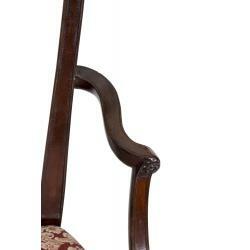 Depth: 19 1/2 in.